DIY Turf Installation Guide - Parsons Rocks! Have you always wanted a luscious, grassy landscape but live in a climate where grass is difficult to maintain and grow? Artificial turf can keep your yard looking green year round without the hassle, and it is not difficult to install. Follow this handy guide and in no time, you’ll have a lawn that not only looks beautiful, but will help save money as well. In the area you plan on installing your artificial lawn, excavate existing sod, rock, soil and debris. Make sure to clear at least 3 inches of space and don’t forget to cap all of your sprinklers. Place weed block fabric over the cleared space and lay 2 inches of white chat on top at a slight slope to help with drainage. Add a bit of moisture to the chat and compact with a vibrating compactor or water roller. Double check that the surface is level. Before installing your artificial grass, lay out your turf in the sun for 1-2 hours to let it acclimate. 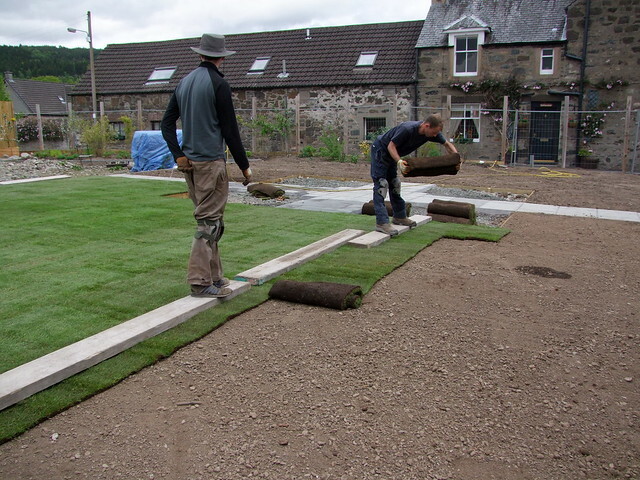 After letting your turf sit, lay out the artificial grass where needed. When cutting the turf, you want to make your cut on the backside of the turf to avoid trimming turf blades. Take a small amount off at a time to make sure the edges are precise. Fasten one end of the turf with landscaping spiral nails, placing nails every 3-4 inches along the perimeter. Stretch the turf and fasten with nails as you move across to the opposite end. Place a nail every 12-24 inches throughout center of the turf. When seaming two pieces together, make sure the grain of your turf is running in the same direction to ensure everything matches up precisely. Seaming tape should be used to secure all seams. Apply the tape lengthwise to the bottom side of turf, leaving half stuck to the turf with the other half hanging off. Lay the turf back down and secure the opposite piece of turf to the tape. After the turf is installed power broom the entire area. This will allow the infill sand to settle in easier. 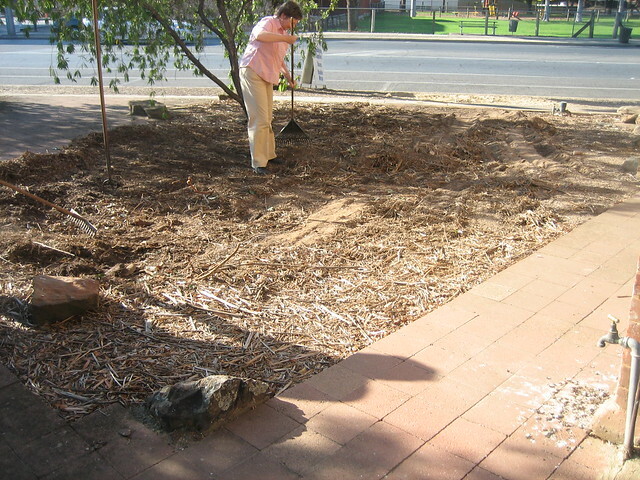 Apply the infill sand using a drop spreader. Spread infill as evenly as possible with a grading rake or broom until infill settles into the base of the turf. Power broom one last time to make sure the blades are standing up strait. If living in hot climates like a desert, you may want to apply a coating to windows near your new lawn. This will take away the chance of sunlight hitting your windows and melting your turf, much like a magnifying glass can be used as a laser. Congratulations, you have successfully installed turf outside your house! Enjoy the many benefits of artificial grass, including saving money on maintenance and watering costs and the beautiful greenery it adds to your home. Check out our collection of turf.